The moadonit is a complementary educational-therapeutic center for at-risk children, that operates after school hours. 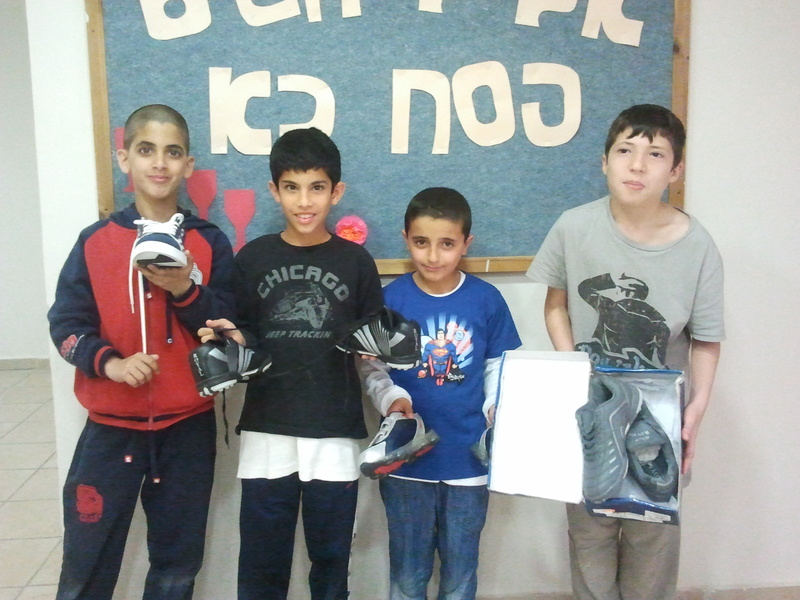 At each moadonit, children receive a hot meal, scholastic enrichment, help with their homework as well as a lot of additional content intended to enrich, empower them, and develop their social skills.An overwhelming number of children living in Jaffa and South Tel Aviv drop out of school before reaching the eleventh grade. In contrast, the dropout rate of children participating in the moadonit is almost non-existent. The therapy provided by the moadonit is designed to meet the emotional needs of socially isolated children, or children feeling despair, as well as to address behavioral problems such as aggression. The objective is to improve their personal and scholastic achievements, and by doing so, keep them in school. The programs of the moadoniot are holistic and encompass everything ranging from the children’s physical needs to their emotional and educational empowerment. The counselors keep in close contact with the child’s parents, teachers and school counselors. The moadonit is also staffed with social workers who do emotional work with the children and parents, as well as focusing on nurturing the parent’s relationship with their children in one-on-one and group counseling sessions. The staff also includes drama therapists, movement therapists, animal therapists and play therapists. The children enjoy life skills workshops, development of their talents, and educational, value-based and scholastic activities. Personal and family therapy is also provided as necessary. This includes the provision of a therapeutic response to their emotional needs by the moadonit staff, consisting of a dedicated therapeutic team, a coordinator, a counselor and a counselor’s aid, an art and music team, a house mother, and volunteers. In total, the Institute has twenty moadoniot for preschool and elementary school children scattered throughout Jaffa and southern Tel Aviv. Recently, the Institute expanded its activities to include special education preschools in Jaffa. This sector includes 36 children, aged three to six, who experience language and communication difficulties, as well as various emotional and cognitive difficulties. In addition to these, the parents face day-to-day adversities and economic hardships. The center’s activities, which take place until 16:00, provide the children with a hot meal and an accommodating scholastic framework, that also incorporates instrumental enrichment. The Neve Ofer House, founded in 2000, started out as a home providing an emergency solution for children in need of a family model protective residence. Currently, ten children aged six to fourteen call the Neve Ofer House their home. Children residing in the house usually arrive by court order, after it has been determined that they can no longer live at home. They do, however, have some contact with their family and go home or visit their host families once every two weeks for a supervised weekend. The Jaffa Institute believes that their visits home and the relationship with their family is necessary, and even essential. Numerous studies support this belief and prove that a child’s mental integrity depends, to a large extent, on his relationship with his biological family.